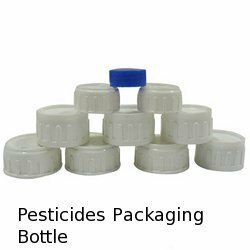 Leading Manufacturer of pesticides packaging bottle from Mumbai. Backed by rich industry experience and knowledge, we are engaged in offering Pesticides Packaging Bottle. This packing bottle is manufactured by contemporary technology. Our valuable customers can obtain the offered packing bottle in varied options in order to fulfill ever-evolving requirements of our esteemed clients. Our packing bottles are strictly checked under the direction of our quality experts to assure flawless range. Looking for Pesticides Packaging Bottle ?